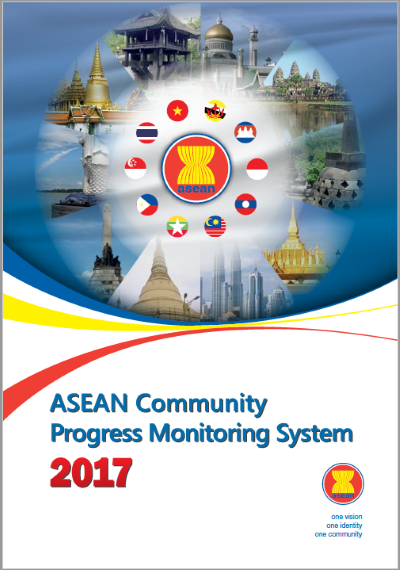 Introduction : This 2017 ASEAN Community Progress Monitoring System (ACPMS) Report is the third of the APCMS report series. The ACPMS report series provide statistics on integration outcomes in ASEAN pertaining to envisaged characteristics of the ASEAN Economic Community (AEC) and ASEAN Socio-Cultural Community (ASCC), including indicators on global development aspirations. This 2017 ACPMS Report examines 30 core indicators, describing five characteristics envisioned for the ASEAN Community Economic Blue Print 2025 and, five characteristics of ASEAN Socio-Cultural Community Blueprint 2025.